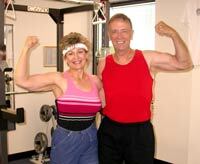 Living Strong Fitness Training success Stories. Living Strong is a collection of the best fitness and health information available, all assembled in one place! Each page contains valuable info to help you get into your best shape. ENJOY! Thanks for visiting Living Strong. 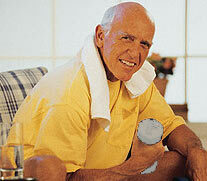 FITNESS, NUTRITION AND STRENGTH TRAINING HELP. GET INTO GREAT SHAPE! PLEASE NOTE! 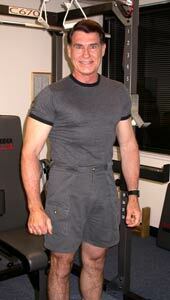 After many years of training, Brian has retired from active involvement in fitness training. This web site and its wealth of information and instruction will continue to be available as a reference and help for those pursuing health and fitness. Enjoy! Brian- I was looking at my workout log and realized how far we have come in just 3 months. I came to you as an out of shape overweight 53 year old wearing 38 pants and my 161/2 shirts were tight on my neck. I am now into 34 pants , have lost 25 lbs, and now my shirt collars are loose. I can`t tell you how much better I feel and how much stronger I have become. This has really been a great experience. Brian: Thanks so much for your expertise. In only 4 months, I've had a 24 pound turnaround, losing 14 pounds of fat and gaining 10 pounds of muscle! I still have more to accomplish, but I now have the assurance that by using your information, I can have the strength and body composition that God intended for us to have. Today I find myself just wanting every overweight person to know what you're teaching. It's so very simple and do-able. And best of all...it's life-changing in nature. Several of my other co-workers and friends have asked about your training because they have been so impressed with the results they've seen. I remember that it wasn't too long ago that I was waking up in the middle of the night with horrible acid reflux episodes from over-eating, was ripping the seat out of my pants at work, was unable to buckle my belt, and was constantly popping the buttons off of my shirts; the very clothes that now look comically big on me. Thanks a lot, Brian. D.C. .....I was "at the end of my rope" before I started working with you--I had tried fasting and all kinds of other diets. I would lose the weight (which I now know was mainly water and muscle), and then gain the weight back (which I now know was mostly fat). Your willingness to share with others the results of 1000's of hours of your own work and research has truly been a Godsend for me. 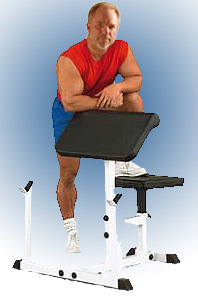 Steve S.
Brian, I want to personally thank you for being our personal trainer. One of the strongest reasons for success stories like mine is the passion and the total belief in what you are doing that you bring to your clients. When I started Living Strong Fitness Training, I was taking two blood pressure reducing pills daily with a diuretic, one cholesterol reducing pill daily, and one triglyceride reducing pill daily. After a few months of following your instruction, my Dr. has taken me off all medications and my blood pressure is now 119/70! My weight was 200 lbs, when I started your program, and my body fat was 27.6% (55.2 lbs). At the completion of the first 6 weeks of your training, I had dropped 15.5 pounds of fat, added four pounds of muscle, and had reduced my body measurements a total of 11", of which 3.5" was reduced in my waist. My body fat was 22.3% (41.4 lbs). And now, after 7 months of Living Strong Fitness Training, my waist measurement has been reduced by 8.25" and I now weigh 169.5 lbs. My body fat is now 14.6% (25.1 lbs), and I have added many pounds of muscle! Your motto is being fulfilled - "Living Stronger". Thanks again. Danny Jackson. LEARN HOW TO ADD YEARS TO YOUR LIFE, AND LIFE TO YOUR YEARS! DISCLAIMER: PLEASE READ - Information provided by Living Strong Website is a guide, created to help users make informed decisions about their health. This information should not be construed as professional or medical health advice, and does not substitute for the advice or treatment that may have been prescribed by their physician. Consult with your physician before using any of this information or beginning any exercise activity. Users are responsible for the implementation and utilization of this information; doing so at their own risk; in no way shall Living Strong be responsible for any injuries, conditions or contraindications, occurring from the use of this site or it's contents. Links from this site lead to sites individuals or organizations over whom we have no control. We do not necessarily endorse or approve of their content information or products and make no representations or warranties regarding the accuracy of their information. By viewing, printing or using you agree to our full terms. Review the full terms by clicking here.